Graphic Facilitation Training for Evaluators! The power to clarify thinking, create shared understanding and to make positive change is at your fingertips. All you need is paper and pen. In this interactive and engaging full-day workshop, Brandy Agerbeck shares her solid gold lessons from over 20 years’ experience as a graphic facilitator creating live, large-scale drawings for her clients. She’ll give you concrete, accessible tips on HOW to reclaim drawing as your best thinking tool and important reasons WHY visuals are vital to helping groups understanding and improve their work. In 2016, ¡Milwaukee Evaluation! Inc. identified one of the leaders in graphic facilitation, Brandy Agerbeck, was right next door in Chicago! We’ve been working ever since to bring her to Wisconsin. In partnership with the Milwaukee Art Institute and Design (MIAD), we are excited to bring you this training. 3 out of 4 learners are visual thinkers. Millennials are taking the reigns – leading in all sectors from government to nonprofit. They use visual tools and social media more than their predecessors. To facilitate evaluation use, we need to do things differently – like getting data out there that speaks to visual decision-makers. We also see the void of this skill in the Milwaukee area (and likely the state). This event is the first step in getting more graphic facilitators working in our community providing this service – and it’s starting with the ¡Milwaukee Evaluation! Inc. community. We also want to make connections to the graphic illustrators and artists so we invited MIAD to join us. At the training there will be lots of opportunity to work with artists, artist communities of practice from around the state, and artists of color. Thank you Dale Schilder, Chair of Graphic Illustration for joining us on this journey! Can evaluators draw a square box? YES!!!! We asked Brandy if evaluators could really do her training. She said yes, we know the content which makes us the best type of training participant. The drawing part is easy, distilling the content to obtain an accurate record of the meeting is A LOT harder! Don’t live in Milwaukee? Come anyway! We are sharing the dates early so that we can have as many non-Milwaukee evaluators and artists participate as possible. Space is limited and we are inviting artists from many communities to join us so book today! This training is worth hundreds of dollars. Brandy usually charges over $1K for a single participant. To cover the cost of our training ($60 for members), we would like to offer $25 advertisements (logos only) to be included in the training manual insert. The advertisement guidelines can be found here. Eastern Evaluation Research Society (EERS) 2017 Forum Now Available! The EERS Eleanor Chelimsky Forum was established in 2013 through generous support of the Robert Wood Johnson Foundation, and originated from Eleanor’s plenary paper, “Balancing Theory and Practice in the Real World.” The goal of the forums is for important issues raised by evaluation theorists and practitioners to be brought to the surface for examination and discussion. The forums have been taking place for several years. Prior year presentations are also available under videos in the EERS home Youtube channel. New Teacher Recruitment Resource Now Live! The National Indian Education Association (NIEA) is excited to announce the launch of a new resource to support Native serving schools recruit great teachers. In partnership with The New Teacher Project (TNTP), a national education non-profit organization, we have launched teach.niea.org– a teacher recruitment website specifically designed to support Native schools recruit and hire great teachers. Education connects our past and our future-protecting the uniqueness of our cultural identity. Numerous states across the country are experiencing shortages- Native serving schools in rural areas are often the most negatively impacted. Native teachers only make up only 0.5%of teachers nationwide and our students suffer as a result. This new resource will help Native schools equip students with the knowledge and skills they need to thrive in the classroom and beyond. Commitment: Culturally-responsive teachers who embed culture into curriculum and instruction–preparing students to graduate ready for college, career, and community success. Adaptability: Teachers with a nuanced understanding of the challenges Native students face, sensitive to the unique cultures of individual tribes and students, comfortable with productive struggle, and responsive to cultural differences while upholding the belief that all children can learn. Respect for Sovereignty, Identity, and Self-Determination: Teachers focused on shaping future leaders, honoring tribal languages and traditions, and protecting cultural identity. Please take a few minutes today and share this opportunity with educators you know. Thank you for helping us protect our most precious resource-our youth, those who will carry on our culture, language, and traditions. NIEA is the Nation’s most inclusive advocacy organization advancing comprehensive culture-based educational opportunities for American Indians, Alaska Natives, and Native Hawaiians. 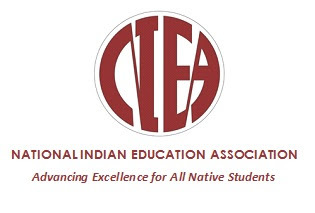 Formed by Native educators in 1969 to encourage a national discourse on education, NIEA adheres to the organization’s founding principles- to convene educators to explore ways to improve schools and the educational systems serving Native children; to promote the maintenance and continued development of language and cultural programs; and to develop and implement strategies for influencing local, state, and federal policy and decision makers. For more information visit www.niea.org. Whether you’re an educator, a student, or invested in increasing educational opportunities for Native students, NIEA members help advocate for better policies. Your contribution will help us continue to be effective advocates, train educators that work with Native students, and close the achievement gap. To donate, please click HERE.